On Sept. 28, 1941, the last day of baseball’s regular season, Ted Williams arrived at Fenway Park with a batting average of .400. His team had long been eliminated from the playoff race. Still, he and the Red Sox took the field for a day game against the Philadelphia Athletics. The game was not the teams’ only match-up that day; if Williams was to properly earn his .400 season, he would have to maintain that clip through both the day and night games of a doubleheader. On the last day of the 2011 baseball season, Jose Reyes arrived at Citi Field with a league-leading batting average of .336. His team had long been eliminated from the playoff race. Still, fans flocked to the ballpark to see Reyes lead his Mets in what might have been his last game with the team. If Reyes was to properly win the first batting title in Mets’ history, he just simply couldn’t have a bad game. Despite risking a .400 season, Ted Williams was not going to let the young kid who was attending his first Red Sox game not witness “The Splendid Splinter” at work. As far as Williams was concerned, his contract with the team suggested he play in every game he could help contribute a victory. Forget the fact that no one had hit .400 since Bill Terry did 11 years earlier. Forget the fact that Williams’ batting average was .413 in mid-September but had dropped at least a point from every single game on until the last day of the season due to a mild slump. Instead of risking the batting title, Jose Reyes and Manager Terry Collins pre-negotiated a plan to pull Reyes from the game if he got a hit to lead off. Reyes calculated a 1-for-1 game would secure the title and decided it was more important to preserve (artificially or not) the individual milestone of winning the batting crown than it was to give his fans an honest days work. With only a .001 point lead on Ryan Braun of the Milwaukee Brewers in the title chase, Reyes didn’t want to risk the crown by continuing to play in the game. By leading off with a hit and then removing himself, Reyes would force Braun to have to hit 3-for-3 or 3-for-4 that night to win the crown — something that Braun hadn’t done in over 20 games. On Sept. 28, 1941, Williams flourished. He ended game one of the doubleheader with a 4-for-5 game, including his 37th home run of the season. He continued his hot hitting into the night when he went 2-for-3 with a double. He finished the day by raising his batting average .006 to finish the season with a batting average of .406, a clip that hasn’t come close to being matched in 70 years. On Sept. 28, 2011, Reyes faded. After reaching base on a bunt single to lead off the game for the Mets, Reyes took himself out. By raising his average to .337, Reyes essentially clinched the batting title. By taking himself out, he also earned a reputation around the league as selfish. As the night wrapped up on Sept. 28, 1941, Ted Williams left the locker room satisfied with his day’s work, but oblivious of his future with the Sox. As the rest of the world was immersed in World War II, Williams couldn’t predict what would happen in Pearl Harbor just two months after he secured his .400 seasons. He left Fenway Park that night thinking his prime was just getting started — completely unaware that he would be drafted into the United States Military before the next season’s Spring Training would begin. As the night wrapped up on Sept. 28, 2011, Jose Reyes left the locker room with mixed emotions about his minimal day’s work. After garnering celebration for the batting title and receiving several questions about the nature in which he won it, Reyes went on to tell The New York Times, “I know it’s kind of tough. I wanted to stay in the game. But [fans] have to understand, too, what’s going on. They have to feel happy about it if I win the batting title. 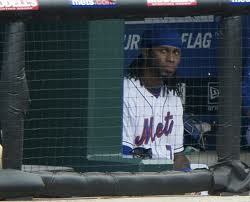 I do that for the team, and the fans, too.” He left Queens that night uncertain of his future with the Mets. The very Mets he starred with for over nine years. Ted Williams played all 19 seasons of his career with the Red Sox, enduring a verbal agreement by his owner to be traded to the Yankees. His tenure with the Sox also included two calls of military service and the Korean War. Williams was destined to forever be a Boston boy. Williams did everything for the team that was asked of him. From tossing two innings in relief as a 21-year-old just to help out the team desperate for pitching to averaging over 120 games played each season over his 19-year career, it was clear Williams was the model teammate and poster-boy of durability. The Mets, who signed Reyes as a 17-year-old out of Santiago and stuck with him despite his missing nearly 200 games over the past three seasons with constant injuries, have probably seen their best player end his tenure with the team on a bittersweet note. When it came down to Reyes putting on one last show for the fans or winning an award for himself, he chose the latter. He can say he won the award for the fans of New York, but in reality, his motive was evident: with more accolades comes more prestige around the league and in free agency. Leaving the game may have been a money-driven decision; through winning the crown, Reyes essentially told Fred Wilpon that he deserved Carl Crawford money. By saying, “[Fans] need to understand what’s going on,” Reyes unintentionally tipped his hand and confirmed that winning the award was more important to him than his team winning the game. It is truly unfortunate Ted Williams couldn’t win a World Series in his career. For such a great hitter with such great loyalty to his team, it would have been only fitting for Williams’ 19 years of consistent production and constant struggles with the Curse of the Bambino to culminate with one championship ring. It is truly unfortunate that Reyes couldn’t show his fans and his team more of himself in his last game. After nine years of promise, success and rebuilding together, Reyes didn’t give his fans or his teammates a final nine innings of respect.